ICE Called Him a Terrorist. We Said He’s Not. We Won. Our Client of the Month for September 2014 is Abdul Hamid. On July 31, 2014, Mr. Hamid walked out of the Stewart Detention Center in Lumpkin, Georgia and tasted freedom for the first time in more than 15 months. Stewart, an immigration detention center brought to you by the friendly folks at Corrections Corporation of America (CCA), is straight out of George Orwell. Along with the high fences and rolls of concertina wire are guards in crisp blue uniforms and inspirational posters on the walls lauding the CCA’s role in “serving America’s detention needs” and “leading the way in quality correctional care.” Not making this up. But call it “detention” or “custody” or “quality correctional care” all you want. 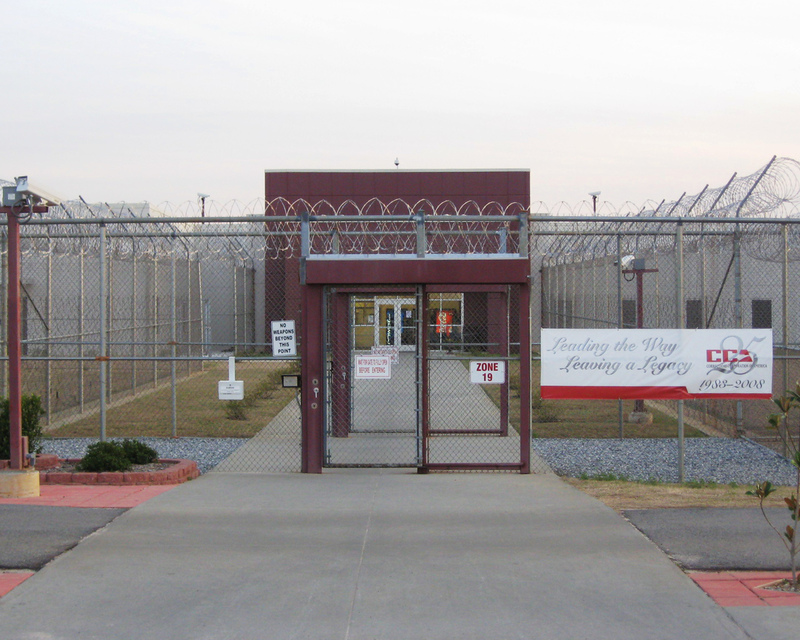 The grim reality is that this place is a prison, situated in a truly godforsaken corner of Georgia more than a 3-hour drive from Atlanta, just far enough to make it very tough for lawyers or family members to visit on a regular basis. Stewart issues color-coded jumpsuits to its residents – red being reserved for the most dangerous inmates, violent offenders, and gang members. Mr. Hamid, a soft-spoken 61-year-old Pakistani gentleman who has lived with his family in the United States for the past 14 years, was made to wear red. Mr. Hamid has never been arrested, charged, or convicted of any crime – in the U.S. or elsewhere. He fled Pakistan in 2000 to escape extortion and death threats from a group of thugs associated with the Jamaat-e-Islami political party. When he appeared before an Immigration Judge (IJ) in Atlanta in April 2013, Mr. Hamid applied for permanent residence – a green card – based on an approved visa petition filed by his adult U.S. citizen son. But then his case took an unusual turn. The lawyer representing the Department of Homeland Security (DHS) argued that Mr. Hamid’s actions in Pakistan in 1998-99, when he was assailed by representatives of Jamaat-e-Islami and forced on threat of death to pay a “jaga tax,” amounted to material support for terrorism – rendering him ineligible for a green card, deportable from the U.S. with no relief, and subject to mandatory detention by U.S. Immigration and Customs Enforcement (ICE). According to DHS, certain “evidence” (obtained primarily through internet searches) demonstrated a link between Jamaat-e-Islami – a fundamentalist political party in Pakistan – and Hizb-ul-Mujahideen – a militant group fighting to establish an independent Islamic state in Kashmir, India. The IJ agreed, ordered Mr. Hamid deported, and ICE agents immediately took him into custody and transported him from the court to his new digs at the Stewart Detention Center. Mr. Hamid and his family were stunned and distraught, unsure what had happened or how to correct such a grievous error. 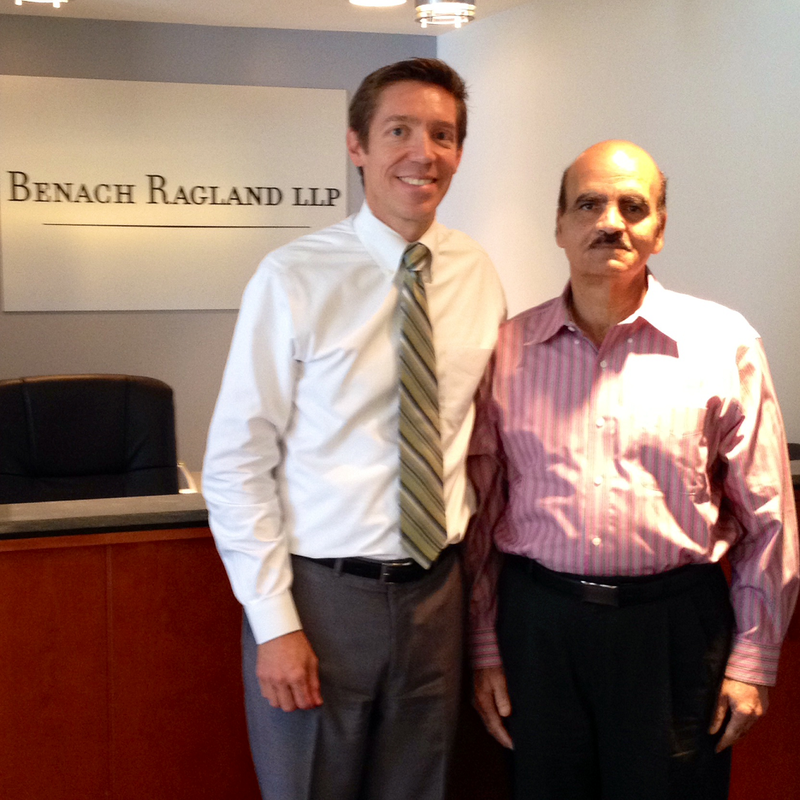 Within days, Mr. Hamid’s son, Nadeem Sheikh, drove from Atlanta to Washington, DC to consult with Thomas Ragland about how to overcome the IJ’s decision and secure his father’s release. Ragland took the case and immediately began preparing an appeal to the Board of Immigration Appeals (BIA). The appeal contended that the IJ had committed a number of errors, including finding that the evidence presented by DHS established a “subgroup” relationship between Jamaat-e-Islami (the political party) and Hizb-ul-Mujahideen (the terrorist group). We argued that DHS and the IJ had failed to distinguish between the various different organizations that exist under the Jamaat-e-Islami banner – in Pakistan, in India, in Bangladesh, and in Sri Lanka – or to recognize that these disparate groups operate independently of one another. We argued further that even if the evidence did establish a subgroup relationship, Mr. Hamid fell within the “knowledge” exception to the material support bar – because he did not know, and should not reasonably have known, that money he paid under duress to the Jamaat-e-Islami thugs in Lahore, Pakistan might be used to support violent activities by an entirely different group, Hizb-ul-Mujahideen, in Kashmir, India. A few days before Halloween 2013, and more than six months after Mr. Hamid began his tenure at Stewart, the BIA agreed and remanded the case to the Atlanta Immigration Court for further proceedings. In the months that followed, Ragland traveled to Atlanta for half a dozen more hearings in Mr. Hamid’s case. The proceedings were repeatedly delayed by confusion over which IJ should be assigned, by the disqualification of two successive court-appointed Urdu interpreters, by a federal government shutdown, and by a system-wide crash of the Immigration Court’s computer system. Meanwhile, Mr. Hamid stoically endured his imprisonment and the indignity of being transported from Lumpkin to Atlanta in chains and leg irons, being handcuffed throughout his court hearings, and being repeatedly vilified by DHS counsel as an untruthful witness and a supporter of terrorism. Mr. Hamid’s entire family – his wife, his sons and daughters and their families, his grandchildren – attended each and every hearing to demonstrate their tireless support and unwavering belief in his innocence of the government’s charges. In addition to extensive background research, numerous written briefs, and hours of in-court testimony, we deployed a secret weapon that proved crucial to our defense of Mr. Hamid. Pakistan’s former Ambassador to the United States, Mr. Husain Haqqani, is among the world’s foremost authorities on the politics, history, and economy of Pakistan. He has advised four presidents, held various high-level posts over a long and distinguished diplomatic career, and recently authored a best-selling book entitled Magnificent Delusions: Pakistan, the United States, and an Epic History of Misunderstanding. More importantly, he is a long-time client of Benach Ragland. 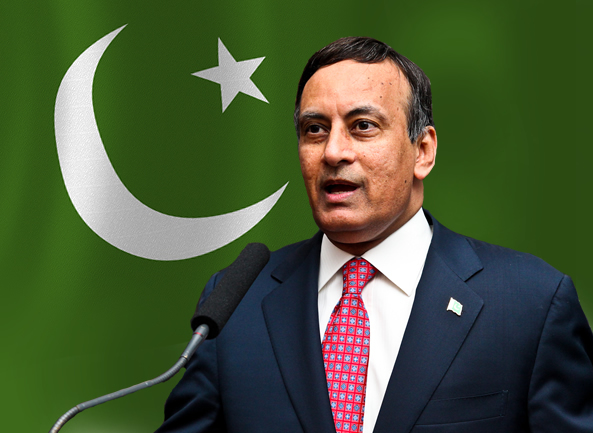 Ambassador Haqqani volunteered to serve as an expert witness in Mr. Hamid’s case, free of charge, authored a lengthy written opinion and flew to Atlanta to testify in Immigration Court. In off-the-record comments after the hearing, the IJ remarked that he was “very impressed” by our expert, and the DHS attorney griped that we had brought in a “million dollar witness.” Faced with great injustice and overwhelming odds, good lawyers must do what it takes to win the day. Ultimately, the IJ was persuaded by our arguments and evidence, rejected the government’s contentions, and ruled in Mr. Hamid’s favor. Reversing his prior ruling, he found that the evidence failed to demonstrate a subgroup relationship between Jamaat-e-Islami and Hizb-ul-Mujahideen. After 15 months in prison, thousands of dollars in legal fees, and the traumatizing prospect of being deported to a country he had fled in fear for his life, Mr. Hamid was granted permanent residence and allowed to return home to his family. Justice delayed, but not denied. Our heartfelt congratulations to a very deserving client.